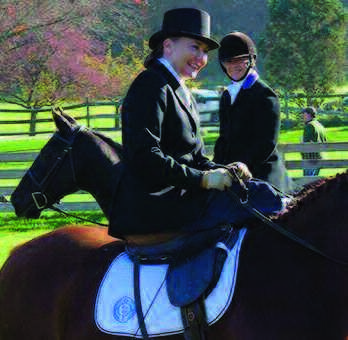 Foxhunting, on an organized basis, began in Franklin County, Ohio, in 1903 when the Columbus Riding Club was established. This group gathered a pack of hound sand hunted in the Alum Creek area. In 1911 the hounds were transferred to an organization known as the DeanValley Hounds, hunted by Dr. Harry Brown around Central College. In 1923 Walter Jeffrey bought extensive acreage along Clark State Road, and the Eastmoor Polo Club played there. After the Eastmoor facilities were destroyed by fire, the Dean Valley Hunt was invited to relocate to the newly constructed barn and kennels at the present location, and the Rocky Fork Hunt was born. The Headley Hunt was a romantic reincarnation of a pack of hounds owned by Usual Headley, who established a tavern west of Zanesville, along the National Road, in 1802. He hunted the hounds for the entertainment of his guests for some years. In the 1930’s, a group of riders from Rocky Fork, wanting more challenging country and less civilized foxes, established a recognized hunt at the old Headley Tavern. The Rocky Fork and Headley hunts merged in 1940, with hunting in both counties for just a few years, until it was suspended for the duration of World War II. After the war hunting resumed, but essentially only at Rocky Fork until additional country was opened in 1970. Today we follow hounds on horseback in Franklin, Licking and Perry counties.